If your teeth are yellowing due to coffee, tea and red wine, they can return to their original whiteness by professional teeth whitening. 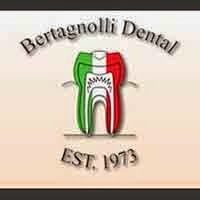 Come and see Bertagnolli Dental today when you are looking for teeth whitening in Westminster. A big smile says you’re happy and confident. Professional teeth whitening is the best way to whiten your teeth safely and effectively. We will evaluate the condition of your teeth and determine what type of treatment is best for you. We are devoted to general, restorative, family and cosmetic dentistry for your entire family. In addition, we provide veneers, implants, dentures, crowns, general check-ups/teeth cleaning and sedation dentistry. Convenient and easy, we can take care of your entire family. Don’t let your teeth keep you from smiling. Call us today for teeth whitening in Westminster. We are the caring practice you are looking for.